Pet Companion Robots are changing the way owners and their pets interact. Pet companion robots are app-controlled and artificial intelligence based technology that allows the pet owners to connect, monitor, feed and play with their beloved pets no matter what the location is. Manufacturers and startups are bringing the pet companion robots such as automated pet feeders, toys and pet monitors. Many startups are developing and producing their own products, which are ready to hit the market. For instance, SmartPaw a smart pet devices manufacturer from China and Taiwan introduced the pet robots that can monitor and can feed the pets. 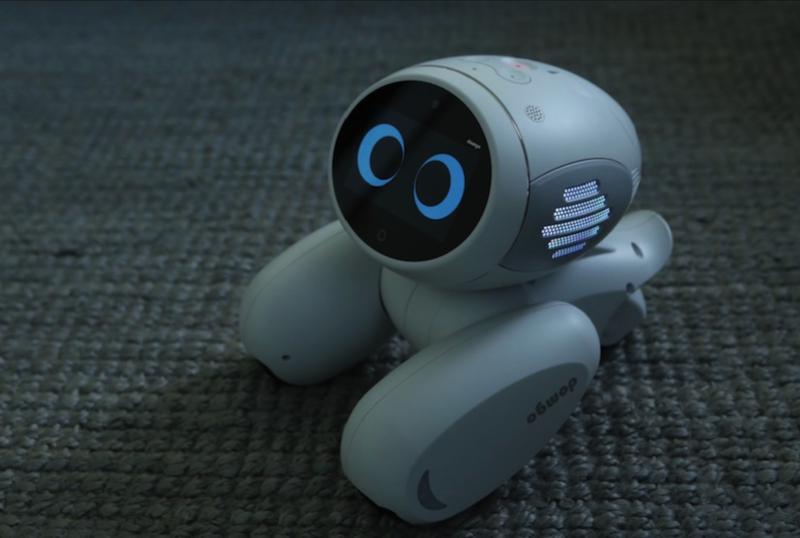 Sego I Robots is another pet companion robot that meets the pet owner needs to interact, feed, entertain and monitor them through smart phone apps. Many big companies are also trying to grab the opportunity from new emerging markets. Big market players are funding and acquiring new startups to enter the pet companion robots market, as these companies can foresee the bright future of pet companion robots owing to huge pet lover population across the globe. For instance, Taiwanese company Pawbo who developed Pawbo+ pet companion robot, acquired by the Acer, a multinational hardware and electronics corporation in 2016. Growing pet ownerships around the world is one of the major factors which is likely to drive the growth of pet companion robots. According to Petsecure, a pet insurance provider there are more than 100 million dog ownership alone in China and USA i.e. one of the major hubs for robots. High disposable income population in these countries coupled with large robotics market is expected to boost the sales of pet companion robots in nearby future. According to Petsecure, more than half of Americans have cat or dog in their homes, spending over USD 50 billion over their pets. On the other hand, digitization across the globe and emerging IoT technologies making it much easier to deploy these robots with pets. Artificial intelligence (AI) technology also enabled the smart robots to take care of pets. Emerging new technologies and innovations are expected to breakthrough pet companion robots among pet lovers. However, being in its nascent stage, manufacturers are more prone to risk of unforeseen obstacles and can face problems related to production and shipments of orders. Global pet smart devices market accounted for USD 1.2 Billion in 2016 in which Global Pet Companion Robots Market roughly accounted for more than USD 0.2 billion and the market is expected to surpass USD 0.8 Billion by the end of 2024. Further, the market is anticipated to expand at a compound annual growth rate of 11.8% over the forecast period i.e. 2016-2024. The market of pet Companion robots accounted for more than 20% share in smart pet devices which is expected to dominate the market over the forecast period owing to its versatility and wide applications. Geographically, North America accounted for the largest consumer of pet companion robots owing to huge population of pet lovers and rising expenditures over pets. Many startups in United States are entering to this market with innovative robots. For instance, Anthouse Technology Ltd. Successfully developed their pet companion robot and ready to hit the market by the end of 2017. Moreover, company has successfully backed up by the crowd funding of more than USD 17.0 million and aimed to receive USD 50.0 million by the end of this year. On the other hand, Asia-Pacific region is anticipated to be the fastest growing market owing to huge robotics market and pet lovers in China and Singapore. Startups such as Sybo Tech in Singapore and SmartPaw in China are expected to drive the market growth in Asia-Pacific region. India and Brazil also expected to create huge opportunities for market players owing to rising disposable income population and pet ownership in these countries.